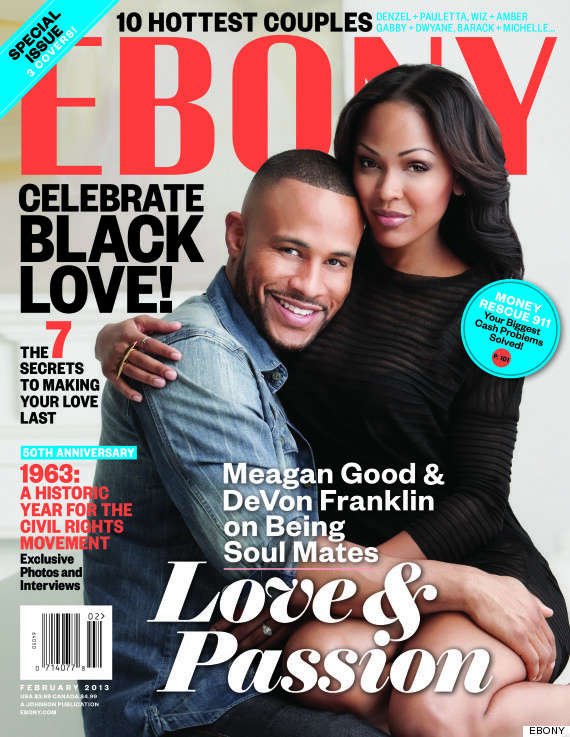 Ebony Magazine has released the 3 covers to their 10 Hottest Couples issue out February 2013. 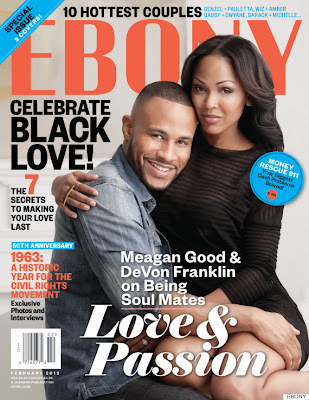 The cover includes - newly weds - actress Meagan Good and her husband who is a movie executive over at Columbia Pictures as well as man of faith - Devon Franklin. The couple have been married for 7 months now and are still going strong! I love me some of their love. "One of the reasons I think God put us together is that we see the world very much alike, and where we see it differently, we complement each other." "What do I do for him that's romantic? I try to surprise him whenever he comes to town. I wear nice things…Wink!" Meagan Good is the star of a new show 'Deception' on NBC as a detective, the show will be premiered today on NBC. Rapper T.I. 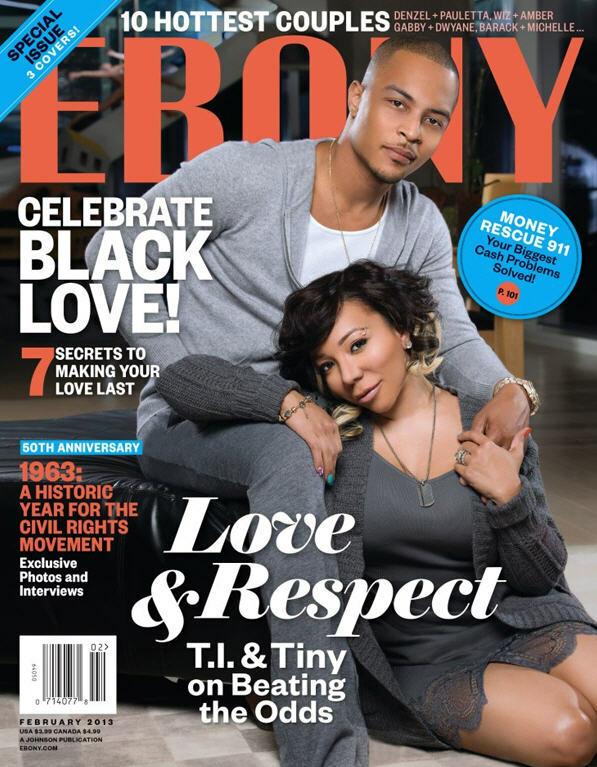 and his wife - Tameka 'Tiny' Harris are one of reality TV's favourite couples. Even though the couple have only been married 2 and a half years, they've been together for 14. 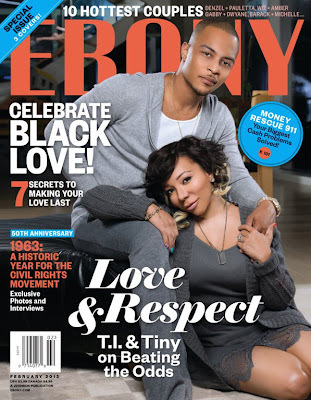 Their love is so real - I'm happy they're on the cover. "Once I made my mind up that I was going to be committed to this relationship, I started being married then and there.… Since I've been married, it's the same relationship, we're the same people. We treat each other the same way, and we're just as happy now as we were before." Bishop T.D. Jakes and his wife Serita were also among the black couples that cover the 10 Hottest Couples issue. "Marriage requires work and expecting the unexpected.… Don't let other people design a marriage you can't live with. Keep other people out your business. Every marriage is different." 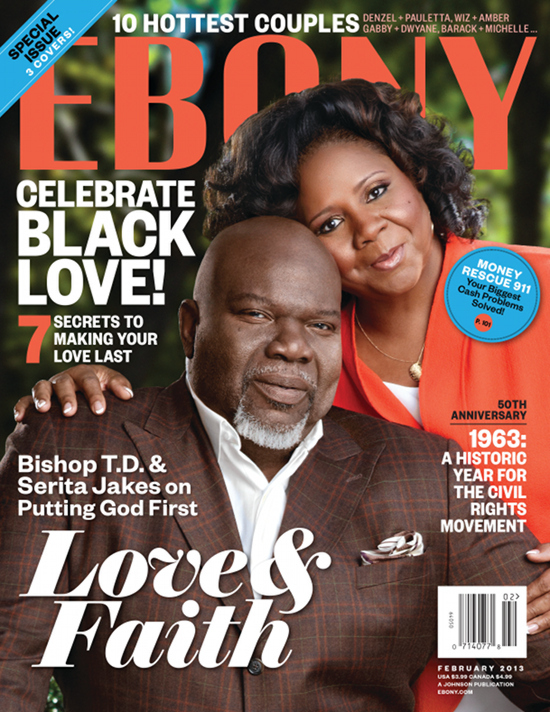 I look forward to reading the rest of the articles and seeign the remaining 7 hottest couples in Ebony Magazine out February this year.